Florida Derby over 1 1/8 miles. clash also has a blue collar vs. blue blood feel to it. 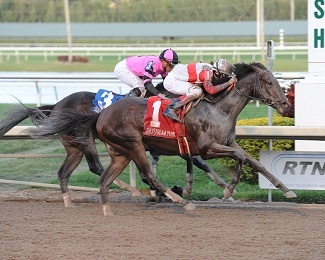 defeat, by two lengths, in the Grade 3 Holy Bull over 1 1/16 miles. horse to take me there,” McGaughey said. 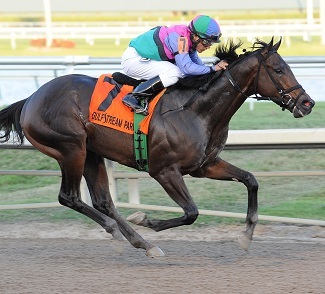 ripped through an undefeated juvenile campaign en route to Eclipse Award honors. Holy Bull against a fresher Itsmyluckyday. stakes winner who stretches out for the first time beyond seven furlongs. ulcer, but has been training swiftly for his reappearance. highly-regarded Noble Tune in a Tampa Bay Downs allowance last time. Julia, the top two finishers in the Grade 2 Davona Dale on February 23.
signature win last year came in the Grade 1 Frizette. Tempted at Aqueduct last time November 4. Script and the allowance-class Kimberly Jean.